Coniferophyta is the phylum -- sometimes called a "division" when talking about plants -- of cone-bearing trees. Conifers' thin, pointy leaves are probably their most noticeable characteristic, but they're named after their reproductive products, the cones. It's conifers' reproductive method that really sets them apart from other divisions, or phyla, of plants. Gymnosperms and angiosperms are the two groups of seed-bearing plants. "Sperm" means "seed," "gymno" means "naked" and "angio" means "covered." Conifer seeds are naked because they develop exposed on the scales of female cones rather than within ovaries -- hard shells or fruit -- like angiosperm seeds. Instead of flowers and fruit, conifers make male sperm-producing cones -- pollen is plant sperm -- and female egg-producing cones. Some species have both on the same trees, others have male and female trees. Coniferophyta are divided into subgroups based on type of leaf. While all may look needle-like to the casual observer, botanists break them into four types: needle, linear, awl and scale. 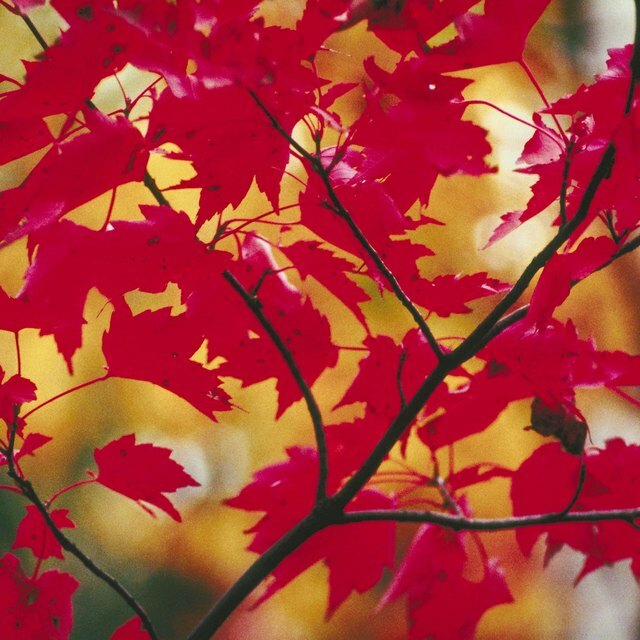 Most are evergreen and keep their leaves year-round, but a few are deciduous, shedding their leaves each autumn and growing them back in the spring. Pines, cedars and spruces have needles. Pinus longaeva, the bristlecone pine, is one of the most charismatic and well-known. These twisted, knobby trees are famous because they're the oldest known living entities on Earth, and there are only a few of them left in a very limited range. 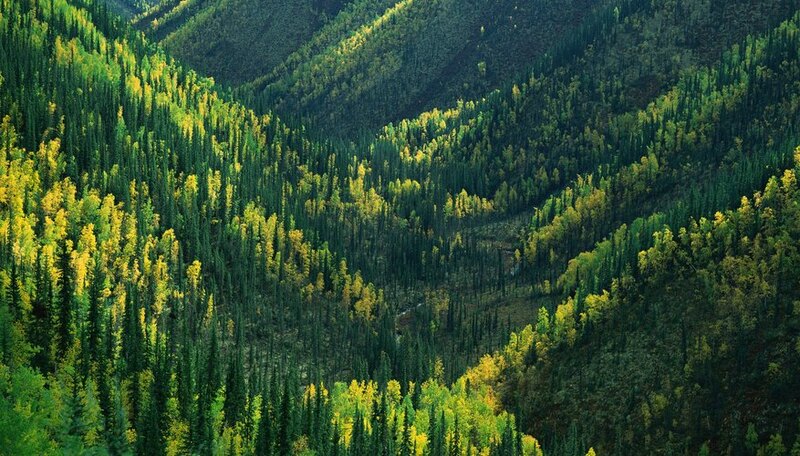 Their known population is confined to certain forests in Utah, Nevada and California, with individual trees up to 5,000 years old. The "true firs" of genus Abies, fake firs of genus Pseudotsuga, and hemlocks of genus Tsuga have linear leaves. Linear leaves are flattened top-to-bottom rather than rounded like true needles. Tsuga canadensis, the eastern hemlock, is one of the most widespread linear-leaved trees. It grows all the way from Canada to Georgia and is especially abundant in the Appalachian mountains. Despite the literary associations of hemlock, this tree isn't poisonous. Socrates was killed by water hemlock, a flowering herb, not a coniferous tree. In fact, hemlock tree leaves are sometimes brewed into a tasty tea. Awl-like leaves have a toothed appearance, as if made up of lots of little needles stacked on top of one another. There's only one awl-leaved conifer, Cryptomeria japonica, the so-called Japanese cedar. It isn't a cedar at all, however, but a cypress. Junipers are also cypresses, but with scale-like leaves. Their "needles" are actually mini-branches covered in these scales. Junipers range from spreading, ground-covering shrubs only a few inches high, to towering forest giants and every size in between. Juniperus communis is known for its tiny, berry-like cones that are used to spice food and give gin its tasty, evergreen flavor. Larix laricina is the tamarack tree, a type of larch. These trees have true needles, but unlike most conifers, they shed them in the fall. Tamarack needles are bluish to dark green and arranged around the branches in circular bunches. They're short and very soft, but the trees themselves have a slightly warty, knobby appearance. Libal, Angela. "What Are Five Examples of the Coniferophyta?" Sciencing, https://sciencing.com/five-examples-coniferophyta-12319394.html. 25 April 2017.